How to Choose a Casting Rod? Selecting a good casting rod requires a bit of heady work and diligence. With a horde of top brands for a spin cast and bait casting rods in the market, it gets a bit daunting, picking the right one. Most fresh anglers are caught in the dilemma of whether to buy the best fishing rod with a spinning reel or a baitcaster. It’s important to grab a lucid understanding of the core characteristics of a casting rod such as action, power, construction material, reel seat, and line guides to make a more informed decision. We’ve compiled a list of the best casting rods with a review of the pros and cons of each brand for your ease and convenience. Before you take a look at our main picks, here are some basic concepts of a casting rod and tips to select the most appropriate one for your fishing needs. Casting rods are built for baitcasting lures like jigs, spinner baits and crankbaits with high precision in different marine environments like freshwaters and saltwater terrains. Two common types of casting rods include spin casting and bait casting rods with the latter generally considered a more powerful fishing rod than its spin similitude. A spin casting rod is specially crafted to bear a spin casting reel that is generally located on top of the pole’s handle. Rods with spincasting reels entail a forefinger grip trigger and tiny eyes that make them apt for anglers who are new to the fishing world. Spin casting rods are similar to the baitcasting rods, except they use a spinning reel instead of a baitcaster reel. You could use either reel type with any of the two rods but it’s recommended that baitcasters be used with bait casting rods as they are designed just for the purpose allowing you to cast baits and lures at a further distance in more complex marine domains. Today, both type of rods are categorized as ‘casting rods’ with no demarcation of a specific fishing style best suited to each. Fishing casting rods make use of simple spin cast reels that make them easy to operate for beginners or anyone new to fishing. With a spinner in your hand, you just need to give the bail a flip, hold the line with your finger, and cast the lure. Once you’ve got yourself a catch, closing the bail and turning the handle around to reel the line back in is easy and stress-free. However, when using a spincasting rod, do not hold the reel upside down as that might not get you any fish. To make your fishing spree a hit, make sure you hold the reel in the proper position and use clockwise motion with the handle. Spinning rods that use spin casting reels work well with lighter lures or baits such as live prey or soft plastics because the intensity of the bait you want to cast limits casting at the farthest point. With small, lightweight lures, a spin cast rod projects more efficiency where the line flows easily off the spool without restriction or any drag to allow casting lures further away. Additionally, as the pole includes a spinning reel, you don’t need to fret over any backlashes, which is definitely a plus point. 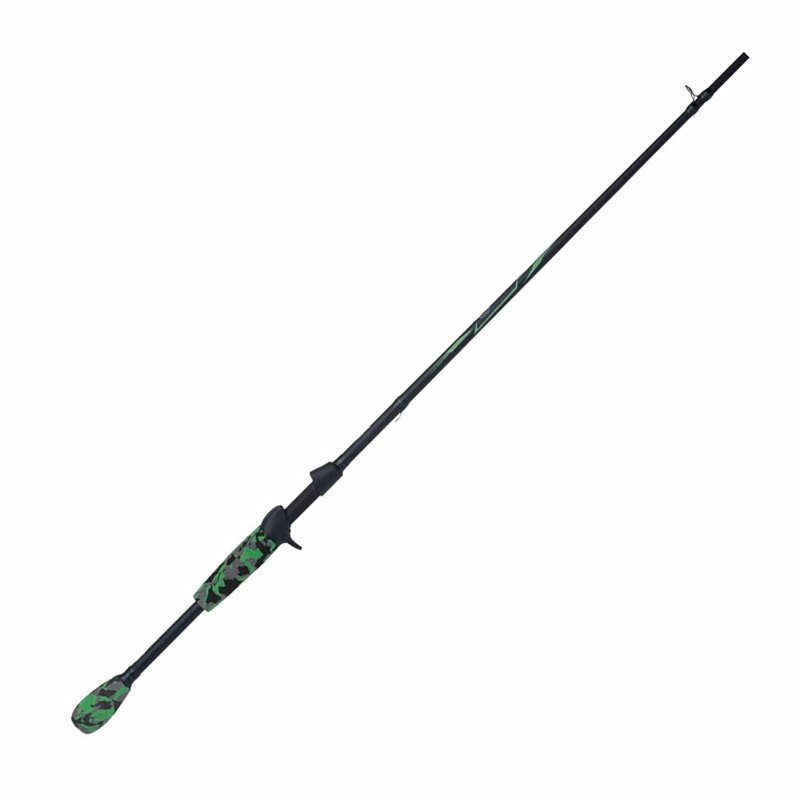 A baitcasting rod is a type of casting rod that includes a baitcasting reel which is best for catching a number of species in more diverse marine terrains. The heavy reel that comes with such a casting rod is ideal for launching lures like crankbaits and jigs at a farther distance with extreme accuracy. If you’re an experienced angler looking for some good catch, then we’d recommend the use of a good baitcasting rod and reel, however, you need to have some expertise with such a pole as the line flows off the spool with drag resistance that needs to be managed by thumbing the spool using your angler’s prowess. Without proper application of thumb pressure, the line flows directly, off the spool causing backlash and eventually a meshed up line. With a spinning reel, the line flows off the spool in a circular motion but with a bait casting rod, the movement is linear, straight off the spool allowing you to launch the lure further using the baitcaster. With a little practice and experience, you can master the art of fine angling but it does require some skills when you are catching fish with a casting rod that uses a bait casting reel in hard marine areas like lily pads or dock pilings. Things that require competency when fishing with a casting rod equipped with a baitcasting reel include the accuracy of casting the lure and launching at a longer distance. To sum up, we’d suggest the use of a spin cast rod if you are an inexperienced fishing enthusiast, as it can be used in any marine environment for simple fishing. 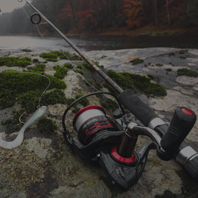 For professional anglers and expert fishermen, the bait casting rod is the best option where challenging terrains and fishing scenarios call for focus, skills and a little more precision. The St. Croix baitcasting rods have a class of their own as they offer a fisherman complete freedom to apply his methods to the casting rod. The shaft of the casting rod is designed to be 15 percent lighter using SCIII graphite and IPC tooling technology, which also enhances flexibility, balance and sensitivity making it better than the previous models. Painted beautifully with a Black Cherry Metallic color, these casting rods for Bass look bold and ready for action. Apart from the poor packaging, this casting rod came in, I am pretty satisfied with it. The rod was very loyal throughout my fishing experience, never did it snap or allowed a fish to slip by its grasp. It can also handle a range of baits from spinnerbaits and jerkbaits to crankbaits. If you are just starting off on your fishing journey or you are a pro angler looking for a cheap and incredible option for a casting rod, then the St. Croix baitcasting rods are made for you. The Okuma baitcasting rods have been built to master the diverse fish culture of the lakes and rivers. The casting rod performs brilliantly when used against trout, salmon, and steelhead. The Celilo series has been crafted after acquiring the expertise and experience of pro fishermen. The blank is constructed of top quality graphite, the guide inserts are made of aluminum oxide and the stainless steel hooded reel seats add a perfect touch to the immaculate construction. As its name suggests the Okuma Celilo works exceptionally well with salmons and steelheads. I wouldn't say it restricts you to those fish, as you can explore catching other fish like Bass or Trout with the same ease. Bravo for the sensitivity of these Bass casting rods! I could literally feel every touch on the line right up to my hands, so obviously it makes the Okuma casting rods for Bass worth the money. The ridiculous price of $53.99 makes it even more incredible, and if you are just starting out as a fisherman, it’s a great choice. The Shimano’s best surf casting rods are a delight for fishermen wanting proficient castability at a budget price. The blank is constructed using Aeroglass to provide heightened sensitivity, aluminum oxide guides for a swift and responsive rod, graphite reel seat, and EVA grip for an all-day long fishing experience. Low cost rods are built for beginners so that they can polish themselves and become better at the trade. Among Shimano’s best surf casting rods, it achieves just that. It will hook the occasional huge fish but it is not exactly crafted for that purpose. You should later upgrade to the much heavily priced rods such as the St. Croix Mojo casting rods for bass because the pricier ones are better in quality. The Daiwa casting rods have made a name for themselves as best beach casting rods worthy of being used in tournaments. The Tatula is molded using special X45 Bias Graphite with elements of SVF Carbon Technology to enhance the rod’s strength. The Zero-G design of these tournament casting rods makes them exceptionally lightweight and the Fuji Alconite guides heighten the sensitivity and strength using micro-pitch taping blank. Also featured in these Daiwa beach casting rods are Daiwa custom reel seat, split EVA grips, all finally topped up with a 5-year warranty. I found the rods worthy of taking to tournaments, as they’re advertised. It is hard to find any major error in these tournament casting rods. Perfect action and response topped up with an immaculate sensitivity that will ensure a high-yield! 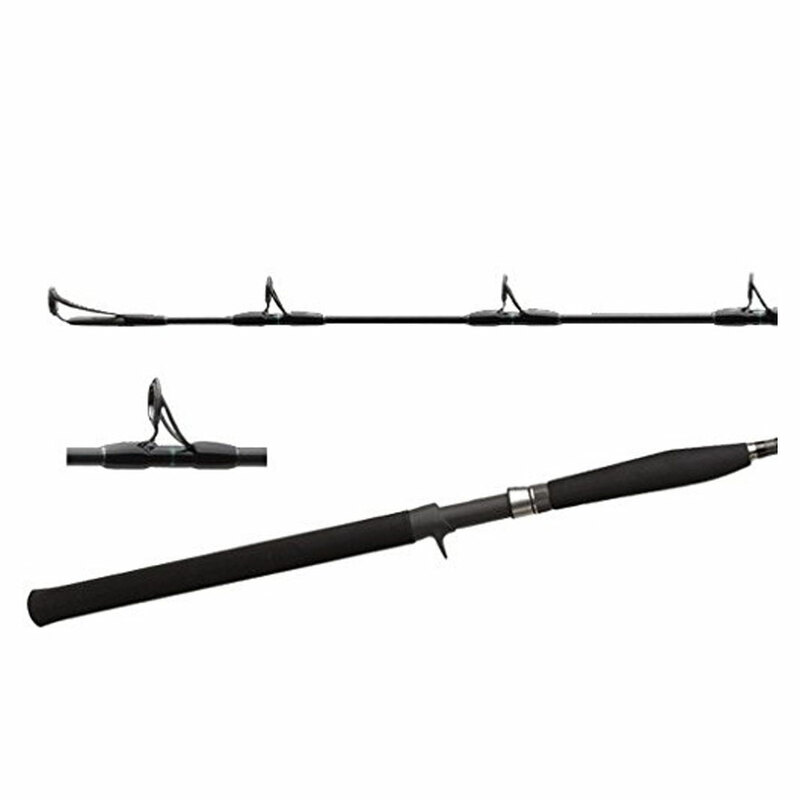 The lightweight also adds to the comfort, as the rod doesn’t feel very bulky in the hand. Overall, a great rod if you are considering to go pro or just want to upgrade your arsenal of rods. The Shimano casting rods bring supreme performance and an elegant design to the table. 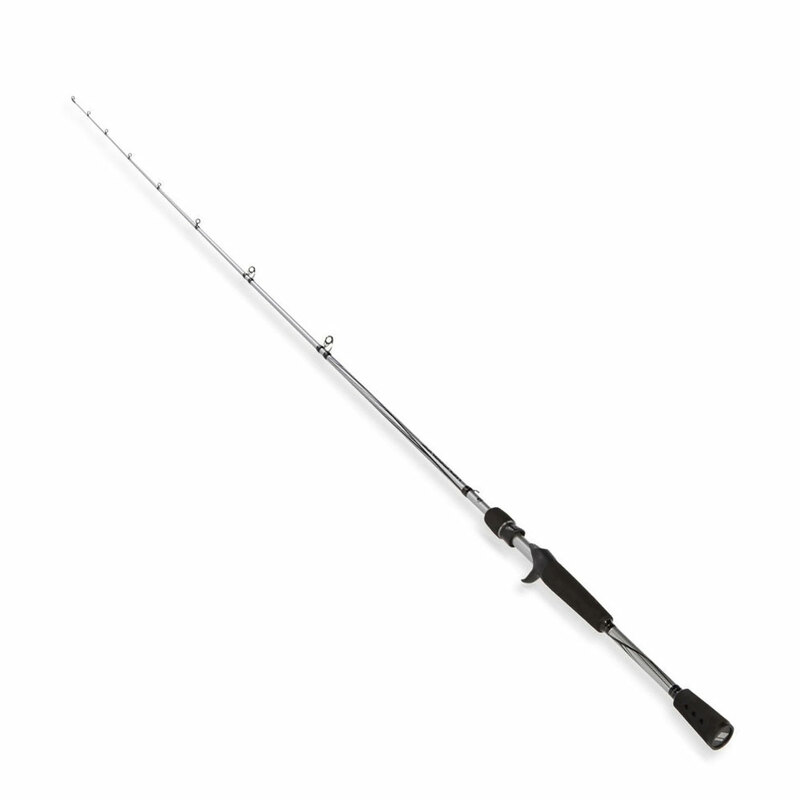 The ultra-lightweight of the rod coupled with a strong backbone makes the experience pleasant. The TC4 body, Fuji New Concept SIC Guides, Fuji reel seat and EVA grip make the Shimano Trevala a must try for jigging lovers. 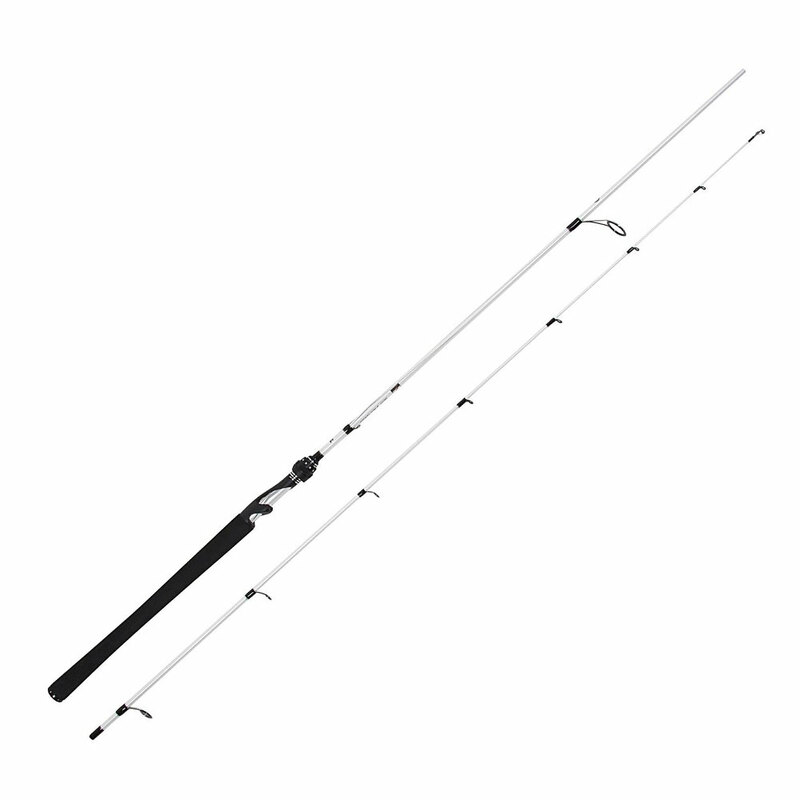 The Shimano casting rod provides enhanced castability to the fisherman. 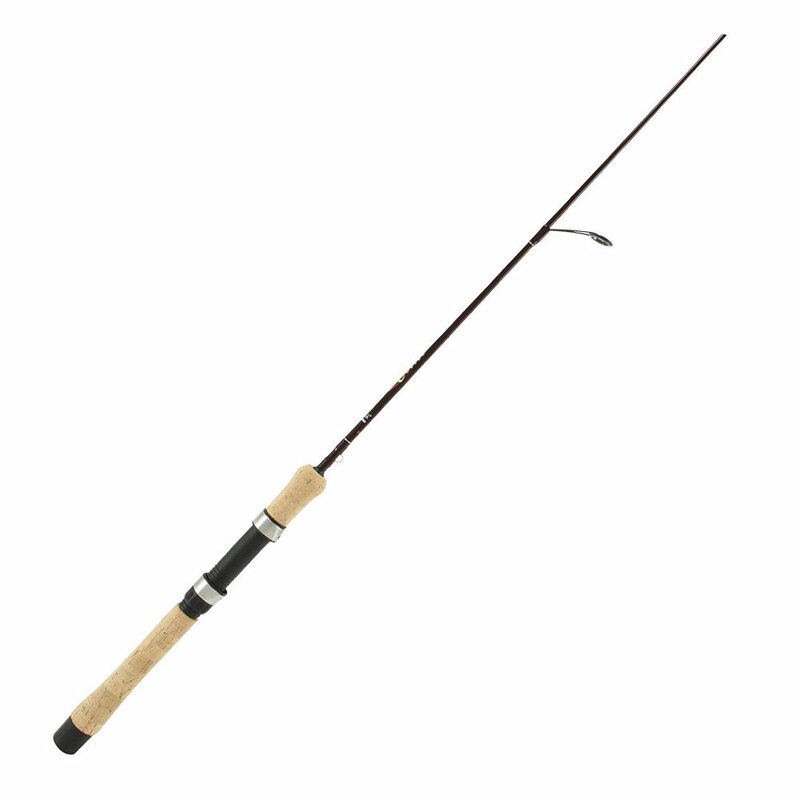 I was able to cast a mile with this rod and it felt ultra-light given its action and power. You would find this rod to be a great travel companion since the rod can be dismantled into 2 pieces, you can practically take it anywhere in the world for your fishing adventures. The best thing about this casting rod is its ability to fight against heavy fish like Bass, Catfish and the likes, all at a very reasonable price. Abu Garcia Veritas 2.0 casting rod has been revised to bring a new and enhanced flavor to the series. The Veritas 2.0 adopts the lightweight design and sensitivity of the older model and adds sturdiness to the list of features. Abu Garcia achieved this by embracing Spiral Core Construction with 30 Ton graphite blanks, and as a result, break strength ameliorated by about 22%, while strength at the tip saw a 30% increase. Other features of these abu garcia baitcasting rods include a micro-click reel hood, Titanium alloy guides with SiC inserts, Thick EVA foam providing comfort, and Texas rigged hook installed that accepts all kinds of bait. If you are looking to upgrade from your previous Veritas, these abu garcia casting rods are the perfect option. The Abu Garcia Veritas 2.0 casting rods will provide you with a better backbone, heightened sensitivity, flexibility, and balance so that you feel satisfied when you are on the hunt for some big fish. However, don't get too carried away with the heavy fish, as this rod is good but not the best one in the market for this purpose. I was lucky two to three times with some catfish and I could feel the tension in the rod, so be careful. The Abu Garcia Vengeance casting rod delivers exceptional performance both with inshore and offshore fishing adventures with a perfect sensitivity that you feel every ripple on your fingertips. These Abu Garcia baitcasting rods are forged using 24-ton high modulus graphite blank, which creates a well-balanced rod that should last a long time. The stainless steel guides joined with titanium oxide inserts add strength while keeping the weight of the rod in check and enhance sensitivity. Top of the line EVA grip provides extreme comfort while battling the larger fish, and the Texas-rigged hook keeps the fish intact when it is hooked. To top it all off, the admirable design makes this rod a spectacle among other casting rods at a great price. This rod will be loyal to you for a decent amount of time before it snaps due to heavy fishes or baits but that is justified by the price the Abu Garcia Vengeance casting rod comes at. You cannot find a better entry-level rod than this, in my opinion. However, be sure to upgrade to a much more professional rod that can handle heavier weights in the future. The Abu Garcia Vendetta casting rod has been revised and improved with a spectacular new design and high-quality elements to promote a strong and long-lasting rod. Among the best Abu Garcia casting rods, it is constructed using 30-ton graphite that involves Intra Carbon technology to provide extra strength to the rod while battling heavy fish, as well as, improved sensitivity to feel even the lightest touch on the hook and line. Other features include stainless steel guides with Zirconium inserts, high-density EVA handle for a pleasurable experience, and Texas-rigged hook among others. Even though Abu Garcia claims this rod to be strong and flexible, it does not stay true to this claim. I had no issues with the rod at first, the casting was great and pleasant, but right on the 3rd attempt, the rod snapped in 3 different areas leaving me helpless. I am not quite sure how carbon fiber has been included in the Abu Garcia Vendetta casting rod and it still manages to break with such ease. You would be a lot better off with the Vengeance series of Abu Garcia casting rods. The St. Croix Premier casting rod has the ability to make an angler invincible. The rod can afford to fight against fishes that otherwise give a tough chance with other rods. Constructed using superior grade SCII graphite and other premium components to make your fishing experience hassle-free and enjoyable. The price of the St. Croix casting rods is high but with the expensive price comes unmatched build quality. I had absolutely no problems whatsoever with the Premier rod. It casts incredibly well and handles all types of fish from freshwater to saltwater. These are best saltwater casting rods at this price range particularly not something of high-quality and stylish design. Ugly Stik GX2 is on our top ten baitcasting rods list. It is the pinnacle of Ugly Stik’s upcoming generation of casting rods. Designers have crafted the rod keeping in mind the traditions and history of the Ugly Stik brand and shaped an unparalleled rod that imitates unmatched balance, sensitivity, and strength while being light as a feather. The rod is molded using both graphite and fiberglass to make it seemingly unbreakable, the attractive design will make heads turn, and its sturdiness will impress the pros, allowing this rod to be counted as one of the best. The Ugly Stik GX2 casting rod works great in any fishing condition. The sensitivity and balance you receive at this low price are exceptional. I especially loved the ergonomic design of the rod. 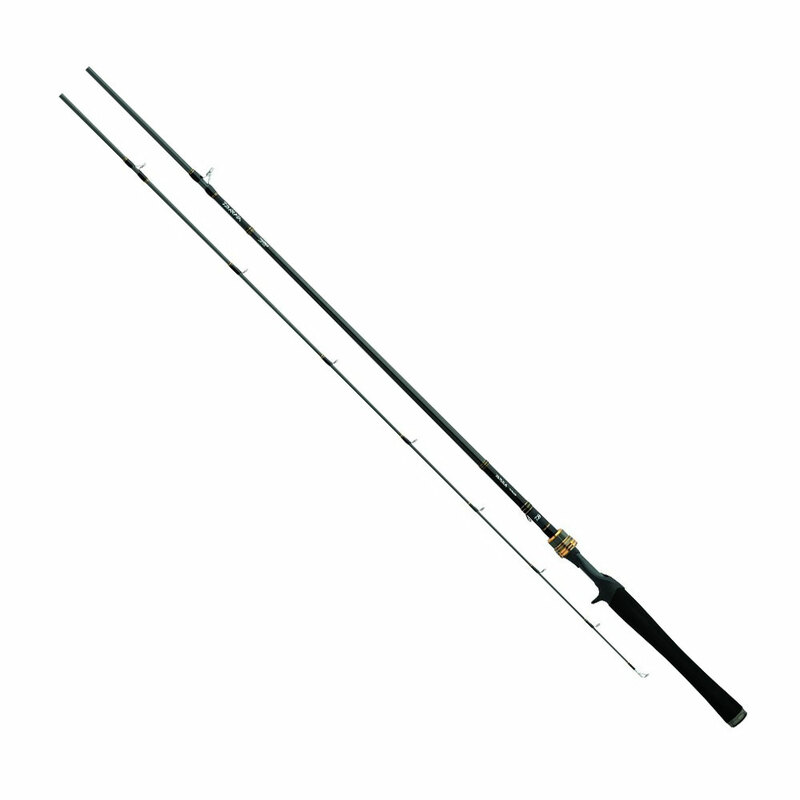 Overall, I can say that this rod will prove loyal to you for a long time, just try to be easy on the weight you put on the rod. Lew’s casting rods deliver unmatched performance on all waterfronts. The rods have been tailor-made to perfection using the most premium components. Construction of the rods is based on HM60 graphite blanks, stainless steel guides with titanium oxide inserts allow the angler to cast a mile, and bespoke high-density EVA handles reinforced with Duracork gives the ultimate comfort in everyday fishing. Lew’s casting rod is a great addition to any angler’s rod arsenal. I found this rod to be much better than St. Croix Mojo casting rod in every aspect. Casting with this rod feels like a dream, such strength in the backbone and control thanks to the soft grips. You should definitely buy one if your pocket allows such leverage. Fenwick HMG casting rod offers 40-year-old graphite rod experience, being the world’s first to be built from the material. The new series of casting rods deliver enhanced performance based on the same old principles. It is lightweight, sensitive and strong throughout. 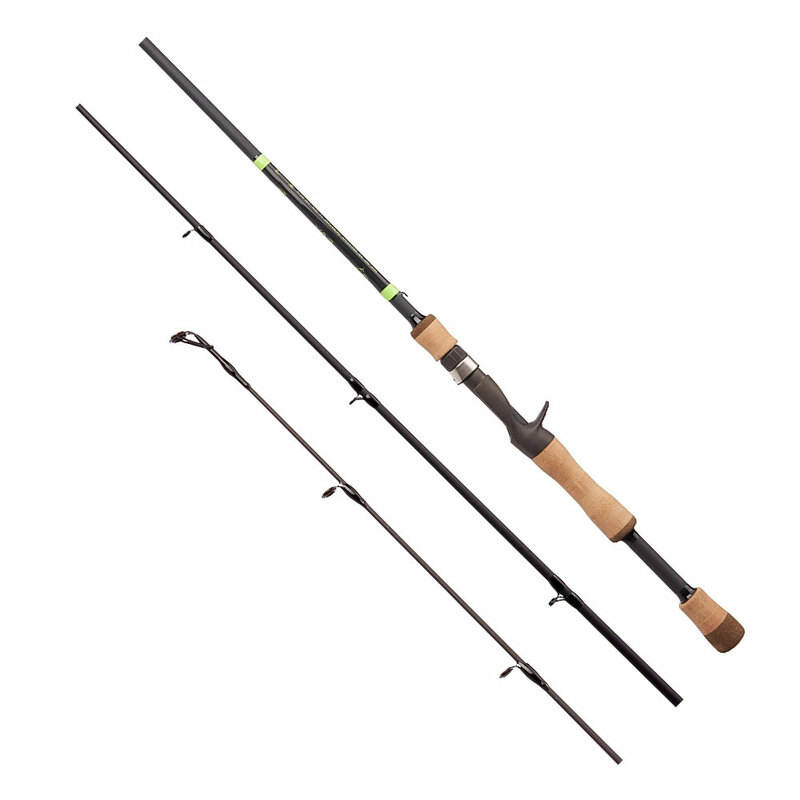 The rod is built using Carbon Bound blanks that are woven with carbon thread creating exemplary robustness and accuracy, TAC handles provide maximum comfort even for a long fishing adventure, and titanium guides aid long castability together with Fuji reel seats to bring the utmost joy to the angler. I like the Fenwick HMG casting rod as it allows diversity in the fishing world. Big bass or small trout, no issues whatsoever in reeling or baiting the fish. Nice price as well for those who want an upgrade from their Abu Garcia Vendetta or Vengeance rods. At a slightly higher price, you can opt for the St. Croix Premier series or Lew’s casting rods. The Fenwick Eagle casting rod is unparalleled in its performance and offers unbeatable value for money. The rod is a testament to decade’s old experience of Fenwick’s rod building expertise. The result is a lightweight and pleasant design, constructed using a powerful graphite blank, durable B2 burled cork, stainless steel guides wrapped with stainless steel inserts and enhanced with traditionally acclaimed Fenwick actions. It is a masterpiece by Fenwick proven to quench your fishing needs. 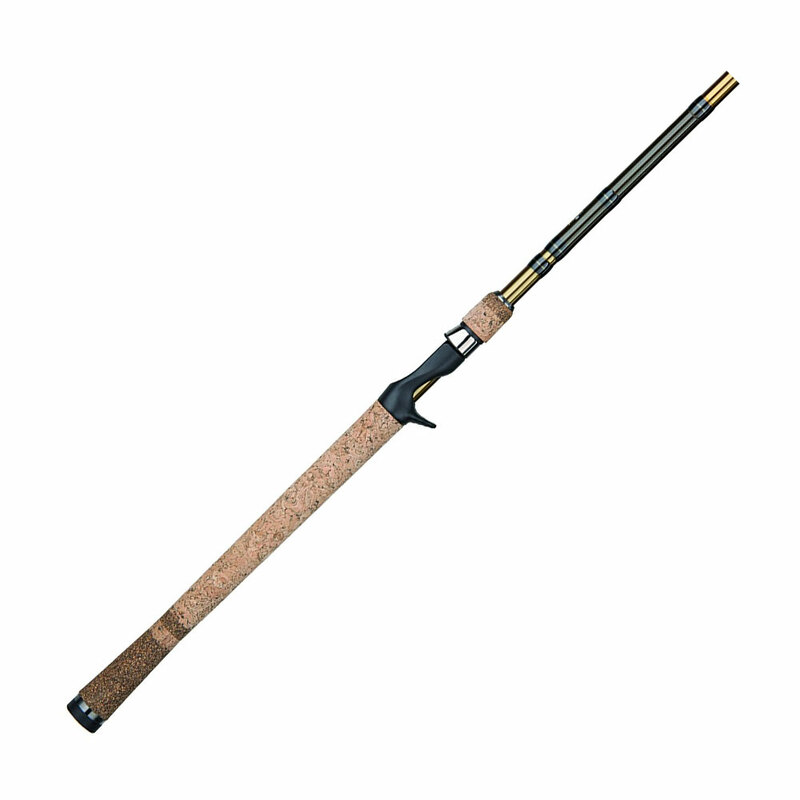 The Fenwick Eagle casting rod is something an angler like me admires. For this very low price, the features are extraordinary. 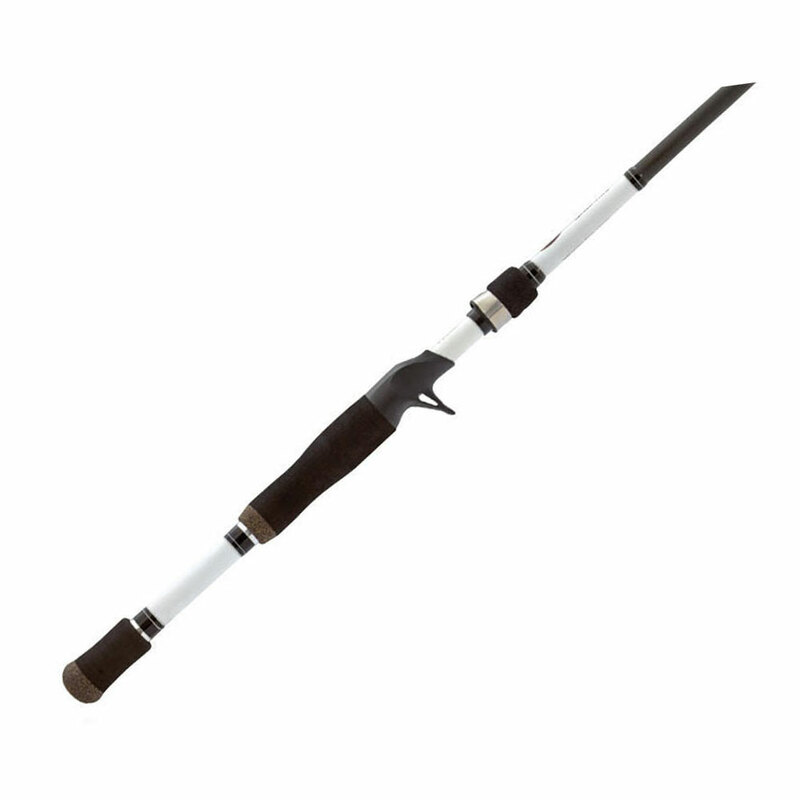 If you are opting for a cheap casting rod, then the Eagle series by Fenwick is much better than the Abu Garcia casting rods or Shimano surf casting rods in the market. You will find that the sensitivity in this rod is remarkable, as you can feel everything from currents, weeds to rocks in the waterbed. The Berkley AMP casting rod stands at the top when it comes to sensitivity in rods. It is commonly called the Armadillo Hide finish and when it is mated to the X-Posed up-locking reel seat and split grip design, the outcome is heightened sensitivity and castability. It is molded using a composite blank construction with Armadillo Hide Finish, Stainless Steel Guides, and Inserts and Split Grip EVA Handles for maximum comfort. The Berkley AMP casting rod is an admirable stick. The color and design of the rod are impressive. The rod performs exactly what you would expect from an extremely cheap casting rod. If you are a beginner, you can impress with its vogue and its ability to cast decent fish. When you learn the art of casting, you can upgrade to a Fenwick Eagle or Abu Garcia Vengeance. 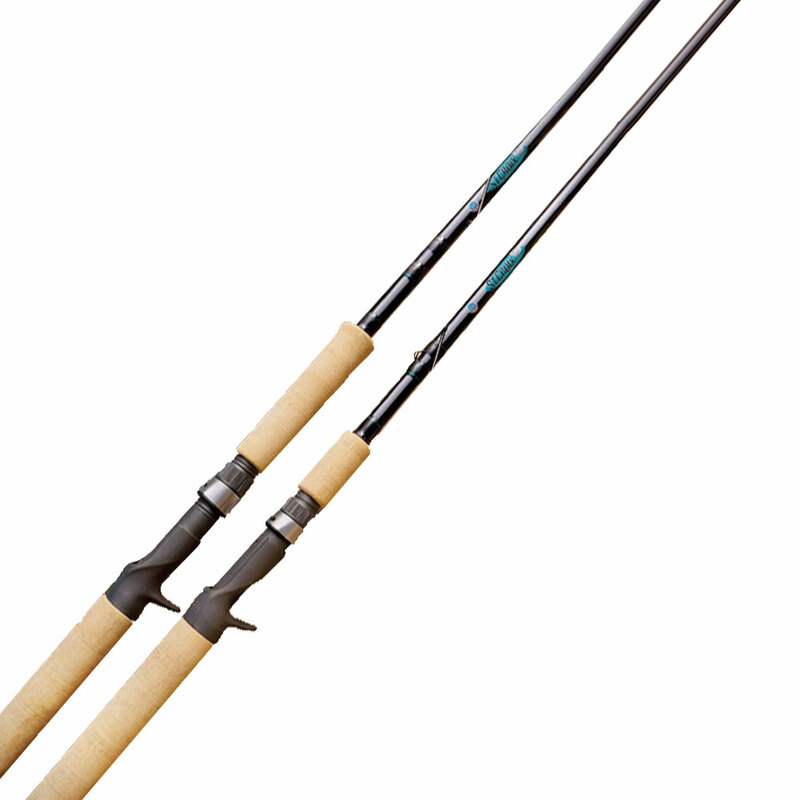 A Berkley Cherrywood casting rod is easily recognizable from its distinct shaft color. The new model has been redesigned to give the 30-year-old model a versatile appearance and feel. A mix of traditional and modern depiction and a construction that offers unparalleled sensitivity together with a soft grip make the Cherrywood HD a work of precision and art. The Berkley Cherrywood HD is surprisingly good with casting using several baits such as crankbaits and jerkbaits. I was able to cast a great distance and maintain sufficient hold on a red snapper and resist its fight. If you are looking for cheap casting rods, this is it, but I would prefer you choose something a bit pricier to avoid any breakage in the future. Even though, this medium light casting rod is good for a time, it can snap due to inferior quality and that is the last thing you want during an enjoyable fishing journey. 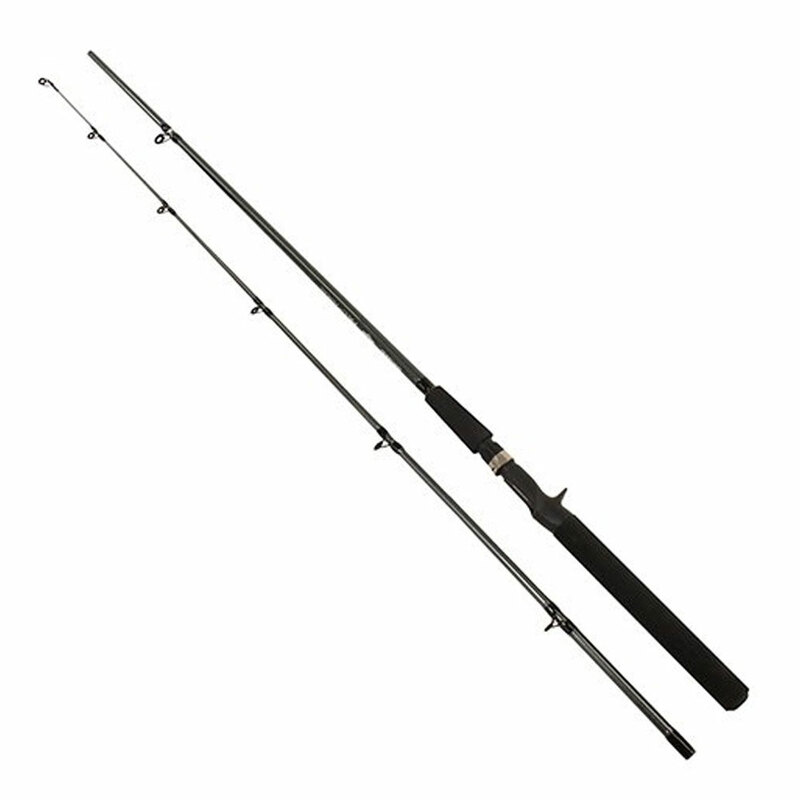 The Berkley casting rod offers a special mix of IM6 robustness and sensitivity with dependability in the long run. The features include a Multi-modulus graphite that provides maximum performance, a nice handle grip to provide comfort to the fingers and skeleton reel seat to heighten the sensitivity while reducing the entire weight of the pole. The Berkley Lightning casting rod has no parallel when it comes to baitcasting and at such an exceptional price other big brands cannot beat it. This best baitcasting rod will have no problems with literally anything you throw it at. Large fish or small fish, it handles all like a dream. I would recommend this for anybody who is looking value for money, and wants to buy a durable/loyal rod that would last a lifetime, given that it is not thrown around like a toy. You can never go wrong with the Lightning and its multi-modal applications in freshwater and salt water. The G. Loomis E6X casting rods bring affordability and high performance to the average fisherman. To top it off, the rod is handmade so every rod that leaves production is special. The rod is constructed using superior materials to increase strength and reduce the overall weight. Also gracing the build of the rod is Multi-taper technology which provides accuracy and flexibility while casting. Furthermore, Fuji Aluminum Oxide, Premium Fuji reel seats, and superior cork grips give a perfect touch to the rod. The G. Loomis E6X casting rod has the best value for money. Although it is expensive, it allows you to experience the feel of a top of the line casting rod and that is why it is worth buying. I literally felt and saw the rod tip moving with the pull of the fish or weed under the waterbed. You won’t be disappointed with this rod if you really know how to work it around. So, it is better to polish yourself first with cheap casting rods and then move toward a heavy priced casting rod. Selecting the best casting rod requires a fair amount of knowledge regarding different attributes of a spinner or baitcaster for a handy purchase. This casting rod buying guide will be useful for buying a top-quality casting rod best suiting to your fishing requirements. This attribute holds immense significance because it establishes the capability of a baitcasting rod to tackle your catch effectively. In other words, the more powerful a casting rod is, the more capable it is of landing a mighty big predator like Cobia and Salmon. A casting rod that is either a spinner or a baitcaster can be categorized as Ultra-light, Light, Medium-heavy and Heavy. While ultra-light and medium-sized poles are good for catching a small to medium sized fish, heavy ones can easily snag more heavyweight species or giant predators. Fast-action rods: These bait casting rods include an easy hook setting and are typically more sensitive. Moderate action rods: These casting poles are great for casting and hogging middleweight crankbaits. Slow-Action rods: These baitcasters are appropriate for long gentle casts in scenarios that entail fishing with live bait and terrains that require gritty handling of fish. The Line Guides are constructed using ceramics, metal or plastic. Use a nickel-titanium alloy casting rod or one that is made of ceramic inserts for a great experience. These type of rods are more sensitive while allowing you to cast the lure at a greater distance with ease and offering long-term usability because of their resistance to wear. We’d suggest you steer clear of the inexpensive rods that are made using inferior or low-quality materials because these will just make the pole snap while you try to hog a big fish like Tarpon. When choosing the best casting rod, give a thought to the construction materials for durability, fighting ability and rod strength. Most good bait cast and spin cast poles are made using fiberglass, graphite or a combination of the two. Fiberglass rods are more heavy and strong compared to graphite poles but entail less sensitivity. Graphite casting rods, on the other hand, offer greater fighting power, flexibility, and increased sensitivity. It’s best to use a spinner or baitcaster that is a blend of these two materials because such rods are more sensitive and durable, yet lightweight and easy to handle. The grip or handle of a casting rod defines the overall comfort level of the angler during fishing. Most handles are designed using materials like EVA foam or cork, and it’s recommended to go for the type of handle best suited to your fishing needs. A pole with an EVA foam handle can tackle temperature changes better offering more durability over time and increased resistance to stains. A rear grip’s augmented length is feasible for scenarios that entail two-handed casting and where greater control is needed. A pistol grip is designed using cork fitted on a metallic frame or composites to allow for enhanced control and effective line handling. Before you make a purchase, consider the reel seat of the casting rod and its ability to fit snugly with top reel brands when tightened. A reel seat for a bait casting pole normally comes attached on top, just above the trigger grip to enable you to maintain control when casting a lure and tackling heavy catch that puts up a fight.